This sign is for Piggly Wiggly. The sign’s colors are green, tan, and white. 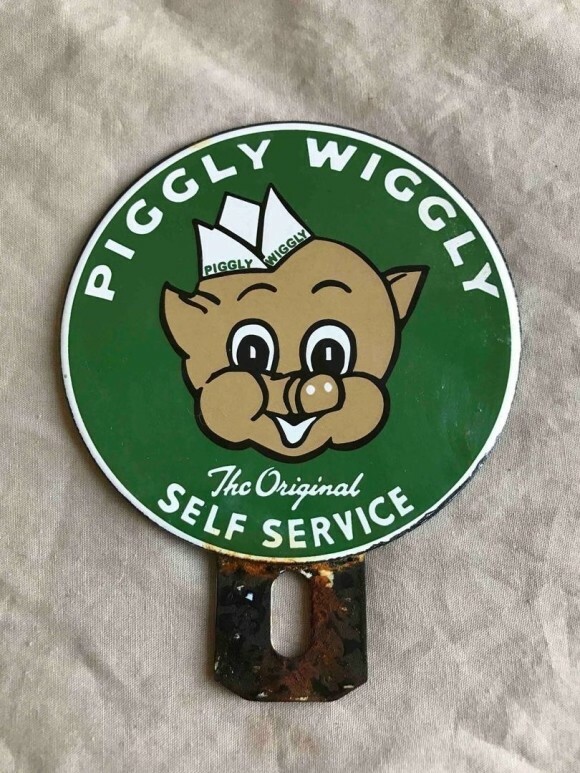 The text on the sign reads: Piggly Wiggly the original Self Service. The sign shows a pigs head in the center with text around.